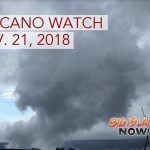 The U.S. Geological Survey released the Hawai‘i Volcano Observatory Weekly Update on Tuesday, Nov. 27, 2018. Kīlauea Volcano is not erupting. Rates of seismicity, deformation, and gas release have not changed significantly over the past week. Deformation signals are consistent with refilling of the middle East Rift Zone. USGS scientists use an Unmanned Aircraft System (UAS, or drone) to fly a MultiGas instrument along Kīlauea Volcano’s lower East Rift Zone to determine concentrations of volcanic gases in small plumes rising from the now inactive fissures. The UAS is barely visible in the distance, just to the upper left of fissure 21 (larger cone at right). Click to enlarge. PC: USGS. Observations: HVO monitoring during the past week shows low rates of seismicity at the summit and East Rift Zone (ERZ). Earthquakes continue to occur primarily at Kīlauea’s summit and south flank areas. In the ERZ, tiltmeters near Puʻu ʻŌʻō and farther east reveal little change over the last week. At the summit, tiltmeters recorded a small DI (deflation-inflation) sequence mid-week, followed by slow deflation. 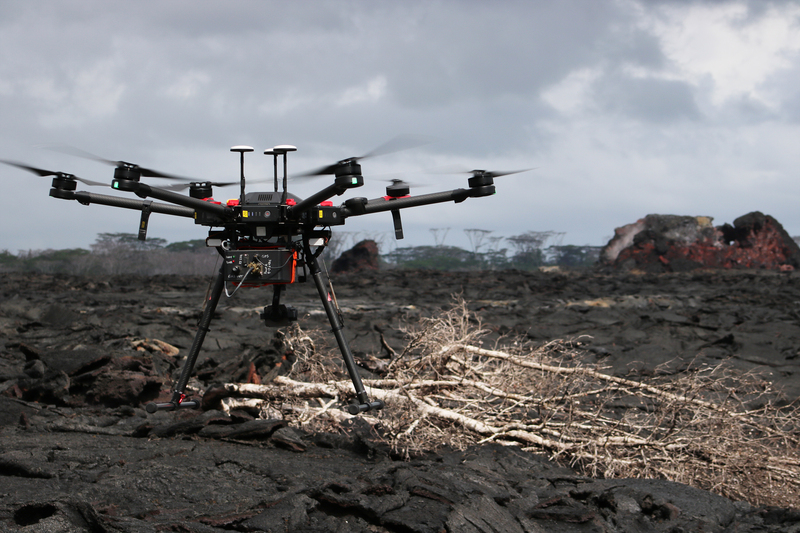 Two weeks ago, sulfur dioxide gas emissions averaged 25 tonnes/day at the summit and 75 tonnes/day at Puʻu ʻŌʻō. There was no sulfur dioxide detected by our instruments in the Lower ERZ. New gas measurements are expected soon. 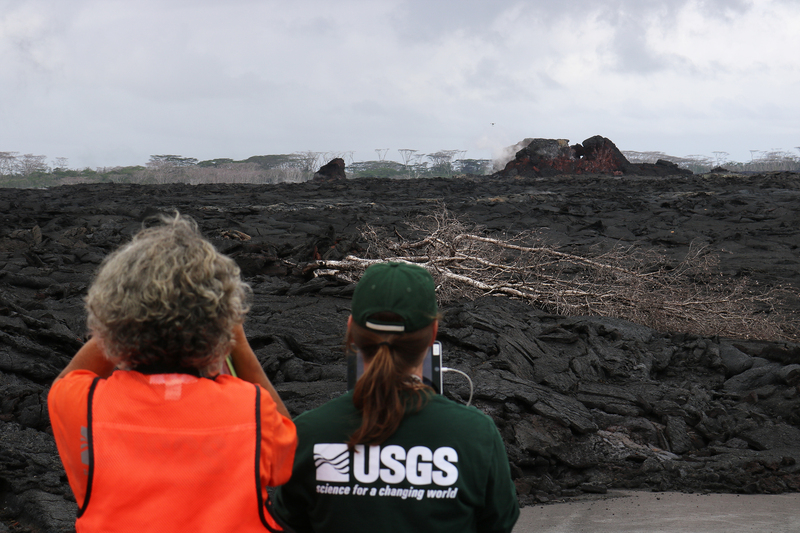 Hazards are still present in the lower East Rift Zone (LERZ) eruption area and at the Kīlauea summit. 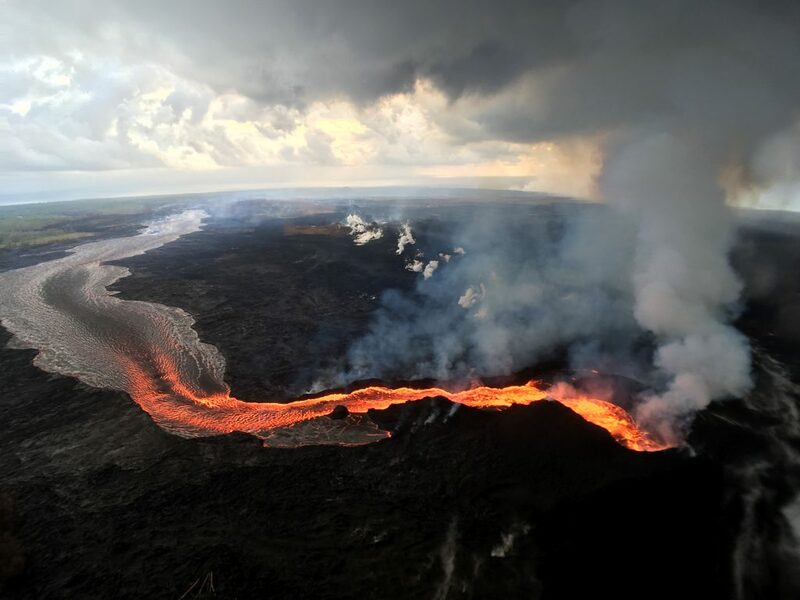 Residents and visitors near recently active fissures and lava flows should stay informed, heed Hawai‘i County Civil Defense and National Park warnings, and be prepared, if necessary, to self-evacuate in the unlikely event of renewed activity. 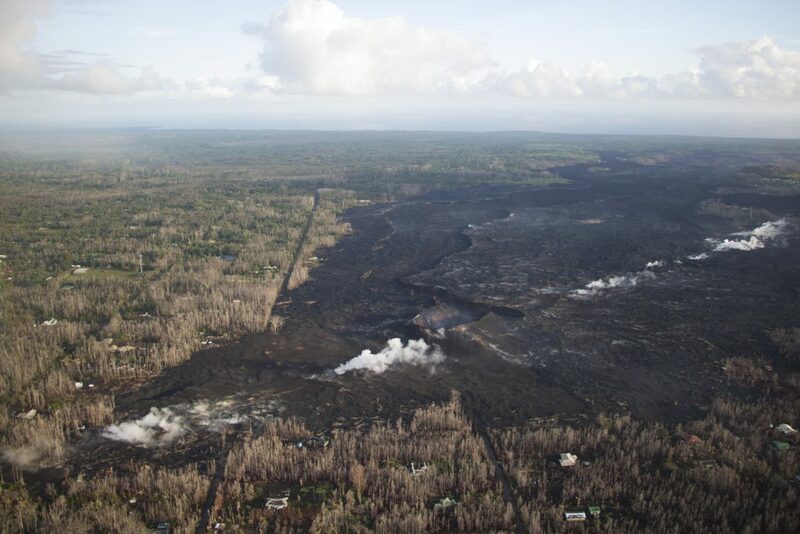 Note that Hawai‘i County maintains a closure of the entire flow field and the vents and prohibits access to the area unless authorized through Civil Defense. 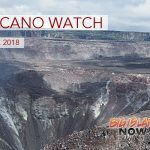 What's Next for Kīlauea Volcano? VOLCANO WATCH: What's That New Smell?